I made this felted tote at my local scrapbook store with a few of my friends. I I used a Fiber Trends Pattern called “The Sheep Tote”. I used cascade double strand yarn for this project. It took a little time to get used to knitting with 2 strands at a time, but it was worth it to end up with a nice sturdy bag. 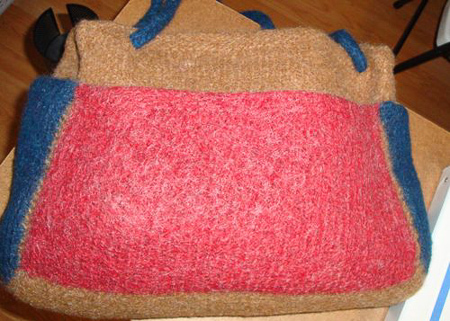 PATTERN: Fiber Trends – The Sheep Tote designed by Bev Galeskas. Previous Post Happy Holidays Everyone!